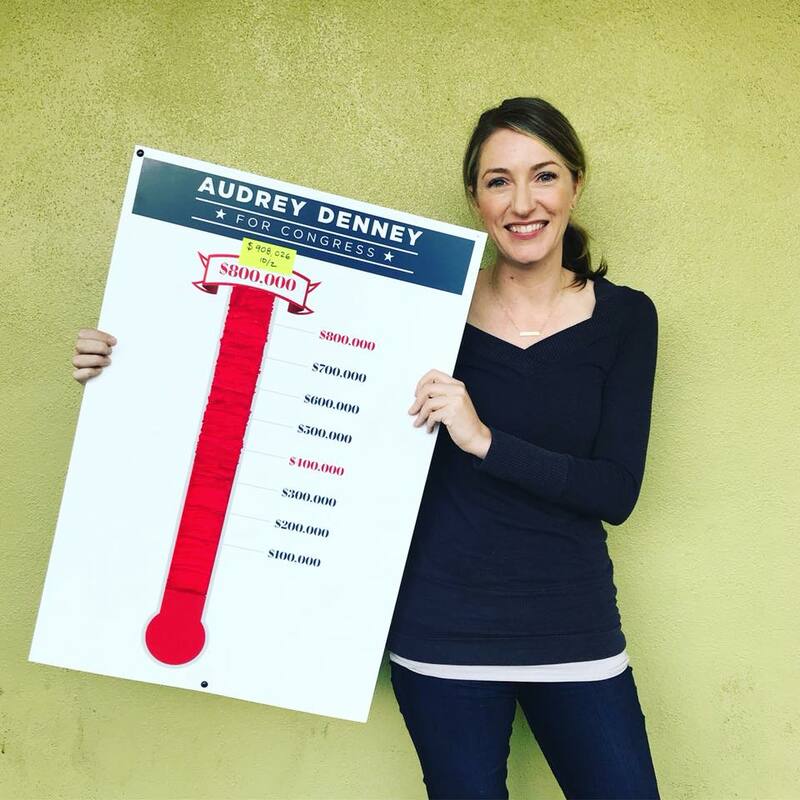 “What I’m about to announce is unprecedented,” District 1 Congressional candidate Audrey Denney wrote tonight on her Facebook page. “With a little more than a month left before Election Day on November 6th, our grassroots campaign has far surpassed our total fundraising goal with over $900,000 from more than 10,000 individual contributions. Not a dime from corporate PACs. I will not be bought and paid for by lobbyists. I’m accountable to only you. “To put this into perspective: Our campaign has raised more funds than all of Representative Doug LaMalfa’s past three challengers combined — nearly three times over. “In the 10 months since entering this congressional race we were told over and over again that this couldn’t be done and that our goals were too ambitious. And yet, we’ve set up three offices spanned throughout our eleven county district open 7 days per week, hired full time staff, and produced multiple mailers, TV ads, and digital media to help us spread our message across our region. This is the most aggressive and organized congressional campaign California’s 1st District has ever seen from a challenger and it’s powered by people from all political, cultural, and socioeconomic backgrounds. What is the most I can send you above my monthly contribution? (Washington, DC) – Congressman Doug LaMalfa (R-Richvale) issued the following statement after President Donald Trump selected Brett Kavanaugh as his nominee for the Supreme Court vacancy left by the retirement of Justice Anthony Kennedy. LaMalfa is a republican toady where conservative ideology that caters to the wealthy supersedes serving the people. He will do and vote however he is told by party leadership. He can do this because the district has been a solid republican bastion for decades where people vote party rather than person. John Doolittle won re-election, prior to LaMalfa, despite being under federal investigation. LaMalfa needs to go.